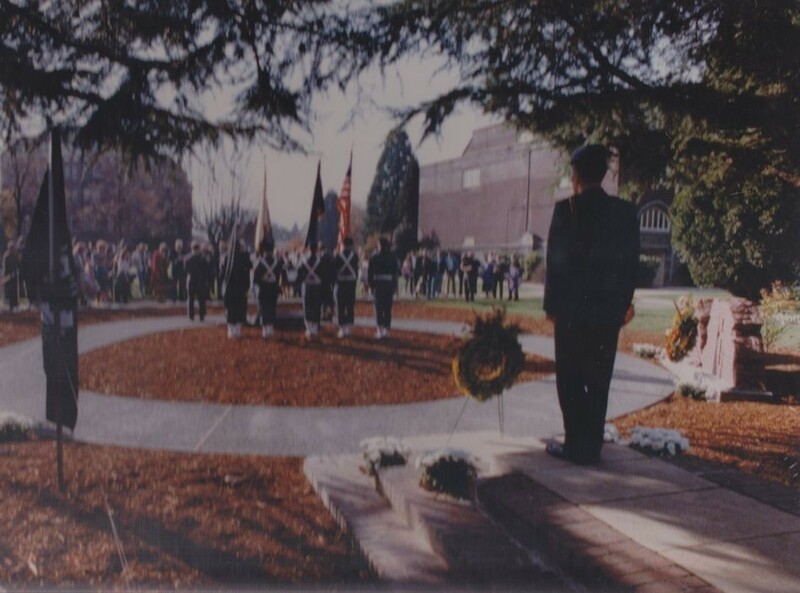 Each Veterans’ Day cadets from AFROTC and Army ROTC units at the University of Portland stand 24-hour vigil at the Praying Hands Memorial within the circle of The Broken Wall Memorial. The brick segments forming the Broken Wall carry the names of UP war-dead: fallen service personnel from the university family. The Broken Wall Memorial was dedicated twenty-five years ago on Veterans’ Day in 1990. The south quad site marks the geographic location where a large proportion of the student body would muster each year for Campus Day celebrations in the 1950s and 60s. 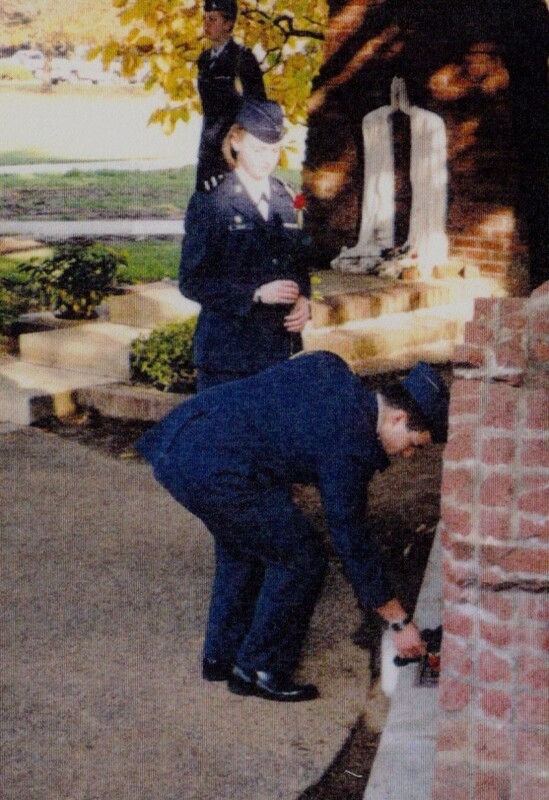 And so in addition to honoring fallen alumni, the cadet vigil at the circle of memory continues today a long, long UP tradition of national service.